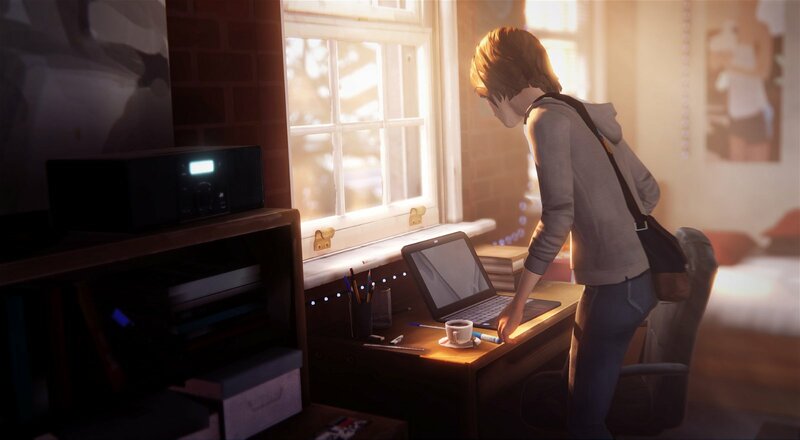 Life Is Strange’s first episode opens a month after its protagonist Max Caulfield has come back to her small town childhood home to attend a prestigious grade 12 arts program. Max is a bit shy and hasn’t made many close friends at her new school, but she’s passionate about the art of analogue photography and eager to study under one of her idols. This fairly mundane premise—high school kid struggles to adjust to life changes—takes a turn toward the fantastic when Max discovers, in a dramatic, life-or-death situation, that she can reverse moments in time at will. From this point on, the everyday drama of her story becomes intertwined with far stranger elements. 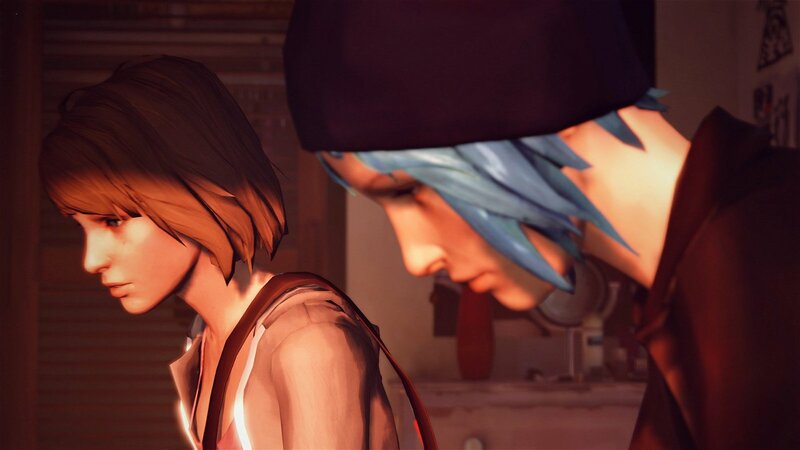 Chrysalis, Life Is Strange’s debut episode, introduces a fascinatingly weird tone where the ordinary is coupled with the bizarre. Max’s time-rewinding power ties the game’s narrative to its principle mechanic in a manner similar to the memory manipulation premise featured in Dontnod Entertainment’s ambitious but uneven sci-fi action title Remember Me. 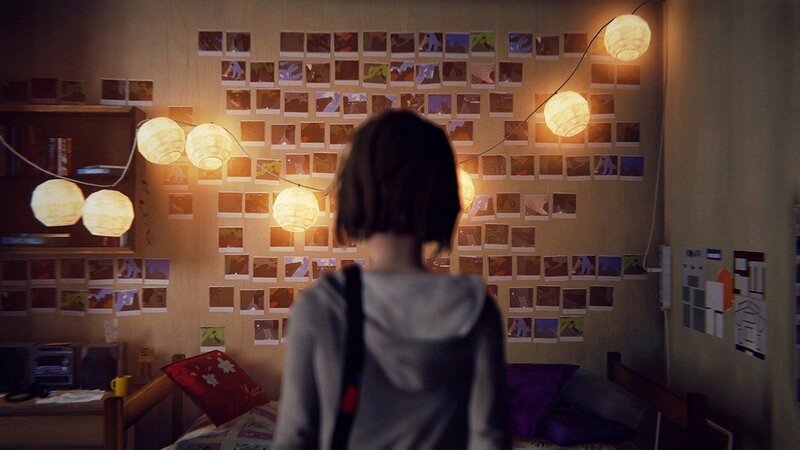 While not concerned with tyrannical governments and transhumanist ethics, Life Is Strange appears very much interested in exploring how the ephemeral nature of time, age, and memory can affect our lives. As the plot unfolds, Max finds herself not only rewinding extremely ordinary moments to change their outcome (often re-entering conversations to improve their outcome with knowledge of what the other person wants to hear), but to double back on the kind of mistakes and everyday choices that could completely alter her relationships. In one minor instance, while snooping around in a garage where her friend’s violent stepfather keeps his things, Max sees a suspicious folder, filled with secret files. If she takes it down, the papers drop onto the oily concrete floor and (presumably in a future episode) reveal what she’s been up to. If she leaves it be, Max never learns what’s been hidden, but ensures that her friend doesn’t get in trouble as the result of her curiousity. Moments like these take on great importance because Chrysalis, though peppered with a few simple puzzles based on its time rewinding ability, is mostly concerned with developing an assortment of characters the player is meant to care about. When exploring, say, a dormitory hallway, reading notes tacked up on walls or having a conversation with a classmate, the game is always providing details that serve as context for its cast. A whiteboard note that can be looked at outside a friend’s room isn’t presented as just environmental colour—it displays a hurtful dig by another character. 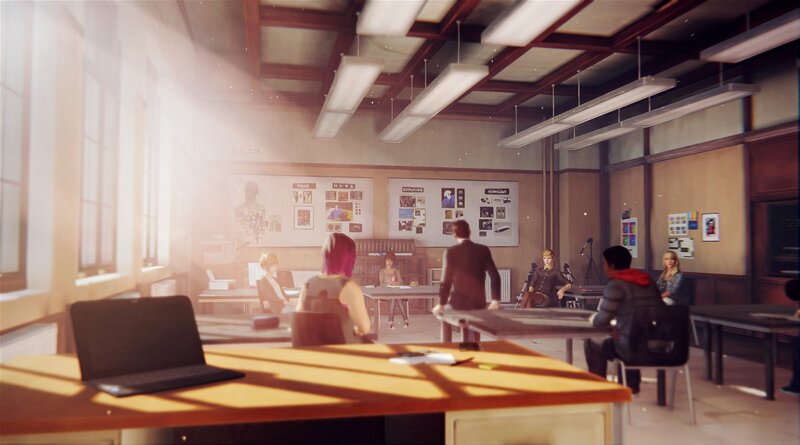 How Max comments when seeing this—every observation prompts a sentence or two of her inner monologue—tells the player more about what kind of person she and her fellow students are. Still, the uneven dialogue and voice acting isn’t enough to derail what is an interesting, unique plot and well-realized cast of characters. 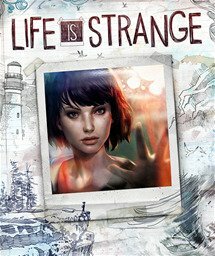 Chrysalis succeeds as an introduction to Life Is Strange as a whole by firmly establishing a tone and thematic intent that, with its magical realist bent and high school setting, is as original as it is engaging. The inaugural episode isn’t without its faults, but as the first act of a serialized game it succeeds admirably in introducing its fiction while simultaneously creating the type of investment that should make players excited for future instalments. To read Reid’s extended review, pick up the Feb issue of CGMagazine. 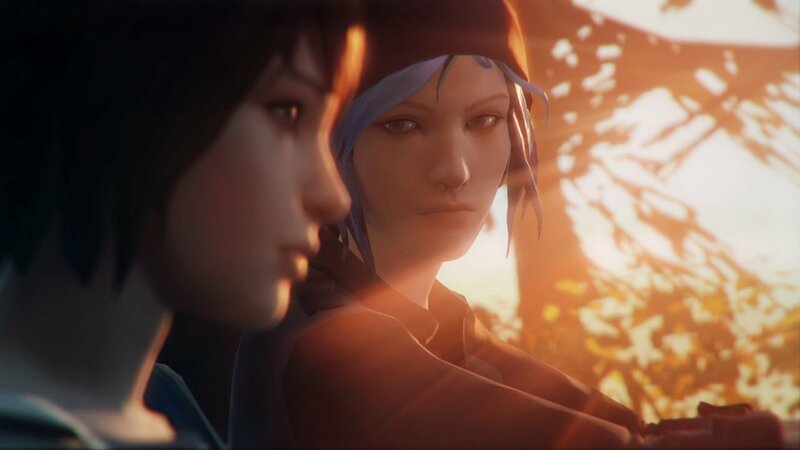 Chrysalis, Life Is Strange’s debut episode, introduces a fascinatingly weird tone where the ordinary is coupled with the bizarre.